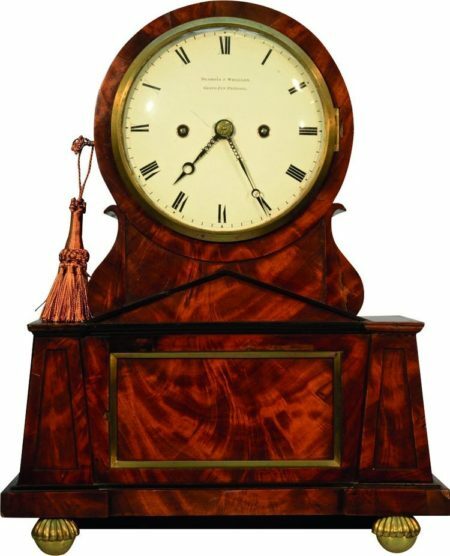 Rare English Regency Egyptian style bracket clock. 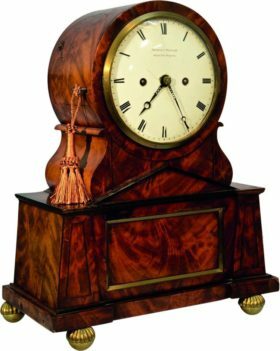 The case is done in beautiful flame mahogany with ebony trim and brass ormolu. 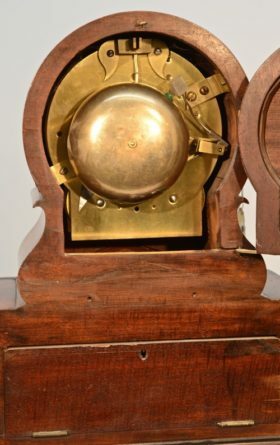 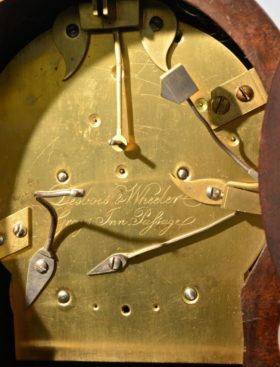 This clock houses a two train chain fusee movement, with bell strike on the hours, and a convex porcelain dial signed Desbois & Wheeler London.